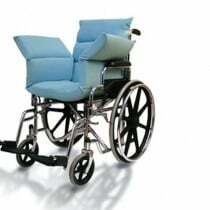 NYOrtho manufactures safety, positioning and pressure relief products for use in wheelchairs and beds. Many of their products are also usable as ergonomic/rehabilitative products and are designed to support the musculoskeletal frame. They are also concerned and highly responsive to their customers' needs while keeping a focus on creating dependable highy quality products and services. We carry NYOrtho's products because of their commitment to making sure that each customer is treated as a unique and important. They develop products with their clients in order to make sure that they receive whatever they need to achieve their goals and they have state of the art materials at their disposal to make sure this happens with the highest possible quality. Their goal to have their reputation precede them with every customer means that they will always do everything possible to deliver the best product and service to their customers so we can make sure that you receive the same high quality. NYOrtho is constantly striving to improve their products and services and take nothing for granted. Vitality Medical carries a variety of NYOrtho products including cushions, wheelchair accessories, gait belts, and suspension boots and more. Gait belts are an effective and economical way for a caregiver to ambulate a patient and are meant to attach around the patients waist securely and allow for the caregiver to assist the patient from a sitting into a standing position. 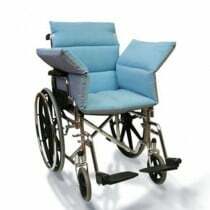 We also carry NYOrtho's seat cushions designed to protect sensitive skin. 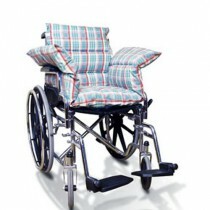 The Geri-Chair brand of seat cushions is a great choice for a long-term or geriatric care facility. NYOrtho's other products are designed for safety and convenience of the patient. 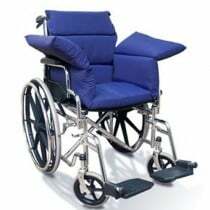 They have a line of wheelchair accessories which include oxygen tank holders, urine bag holders, wheelchair cushions, and smokers aprons. 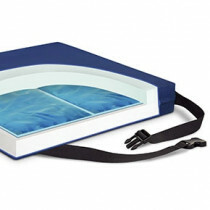 Their safety products include a bedside safety mat, and the unique Gap Guard which seals holes between a wall or bed frame and the mattress.